1 baby butternut, peeled and cubed. 1 large carrot cut in chunks. 2 teaspoons kokhni masala (very strong). 1/4 cup Mrs Balls Chutney. 2 Tablespoons Chili garlic sauce. 3 Tablespoons Sweet chili sauce. Cook in a pot with less than a 1/4 cup water. 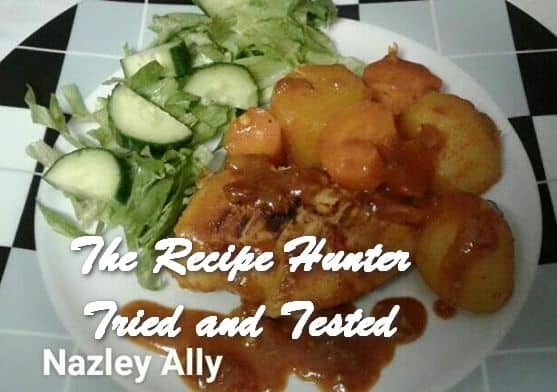 Cook till tender and saucy. Lastly add freshly cut coriander. Serve with fresh salad and rice/naan bread or crispy rolls.